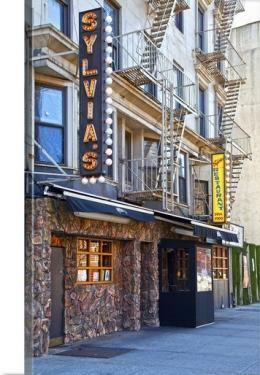 Between W. 126th St & 127th St.
Sylvia's Soul Food Restaurant was founded in 1962 by owner Sylvia Woods, known as the "Queen of Soul Food." Menu options provide many of the soul food favorites such as a slab of bacon with eggs, and combination rib meals. Patrons of Sylvia's Restaurant can choose from menu categories such as from the griddle, the kid's menu and even a dessert menu.